It is no secret that a divorce can be a messy experience, most of the time both parties no longer get along and some can’t even stand to be in the same room together. For some people, there are a lot of things to sort out before they can go their separate ways and personal possessions are only a small part of the equation. To ensure it goes as smoothly as possible, you’ll need a family lawyer to assist you. Skills of Mediation: A skilled family lawyer who specialises in divorce cases will take the animosity out of the situation. We all know that some cases can be challenging for even the most experienced lawyers in the business and some clients just can’t stand the sight of their former partners. If two former lovers are left in a room to negotiate the terms of their divorce, all hell could break loose. To ensure this doesn’t happen, a divorce attorney acts as a mediator for both parties. Highly skilled family lawyers in Melbourne understand the complexities of divorce proceedings, that’s why they offer everyone the chance to speak during meetings to settle their differences in a civilised manner. Focus on the Big Picture: Divorce cases involve a lot of challenging issues, there is often kids involved and focusing on what is most important often gets lost, especially if the process becomes heated. One of the biggest benefits of having a divorce lawyer by your side during proceedings is that they give you perspective. If you are losing track of what really matters and getting bogged down with meaningless issues, your lawyer will set you straight. 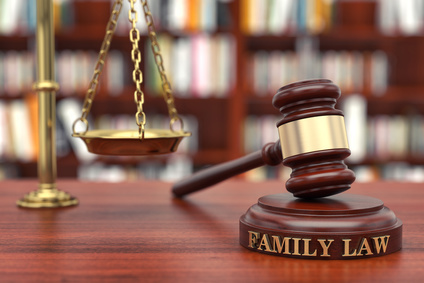 Family lawyers are experienced individuals who have seen just about everything in terms of divorce cases, so if they feel you are losing your position, they’ll let you know about it. Ultimately, kids should be your main concern during proceedings and a good divorce lawyer will constantly remind both parties of their importance. Taking Care of All the Details: Many people don’t realise that competent divorce lawyers make the entire process seem easy and hassle free when the procedure is anything but simple. There is a substantial amount of paperwork and other administrative duties to be completed to ensure everything goes through without a hitch. After you make an important decision you may think that the proceedings end there, they do for you in most circumstances, but they are far from over for your family lawyer. If you hire a reputable divorce lawyer, they won’t only act as skilled mediators, they’ll also organise all your paperwork. They’ll draw up key documents to ensure all your affairs are in order and nothing is missing. Without a good family lawyer, divorce proceedings can get very chaotic and bitter. Some people just lose control and what really matters during a divorce sometimes takes a back seat. A family lawyer is invaluable when it comes to arbitration, they know how to control each meeting to ensure petty differences don’t get in the way of key proceedings.